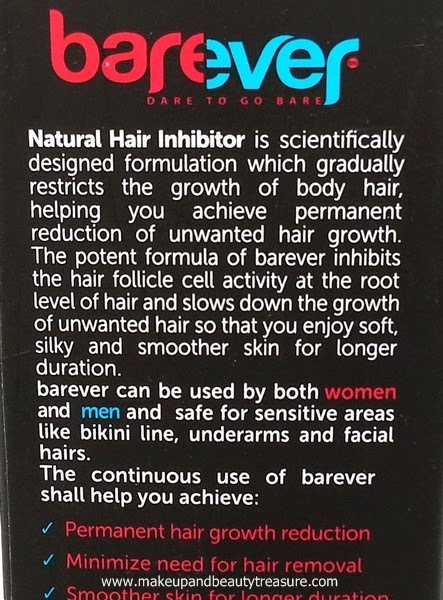 Today I am going to give you a sneak peek of a very unique product- Barever which is a natural inhibitor that slows down the growth of unwanted hair. I have been using it on my hands and upper lips for the last few days. It feels light and gets absorbed really quickly. The packaging is really elegant and classy. The pump dispenser makes it really convenient for traveling. You need to use it only twice a day for 5 days after waxing or threading. It can be used on face, underarms, arms, legs and bikini line and is natural. Stay tuned for the full review soon! Indeed. I hope it works well too!